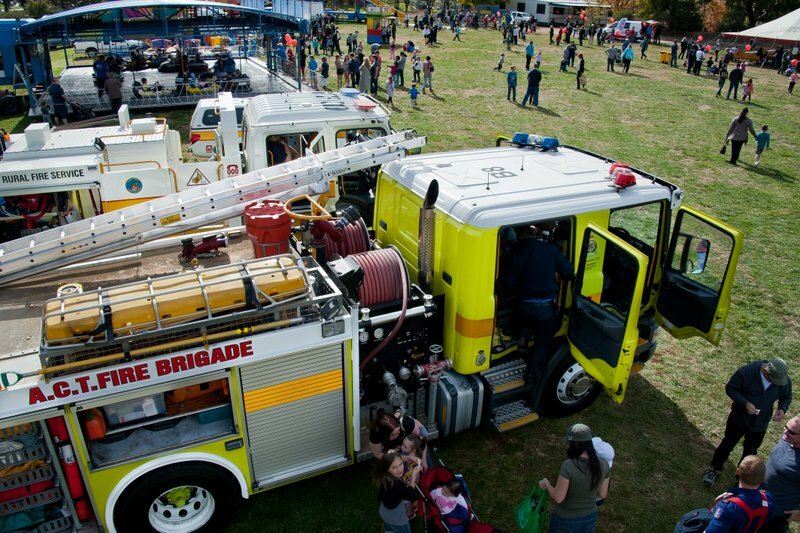 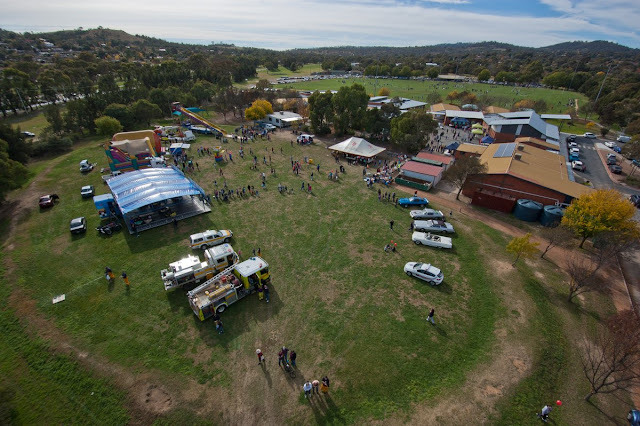 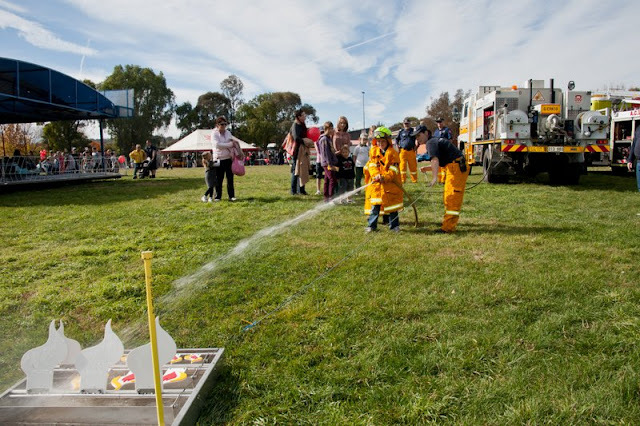 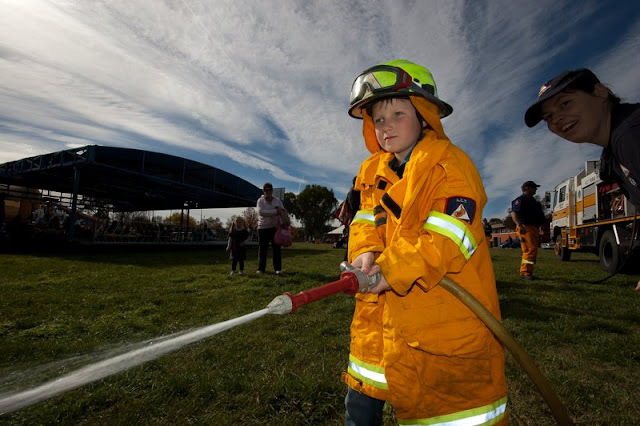 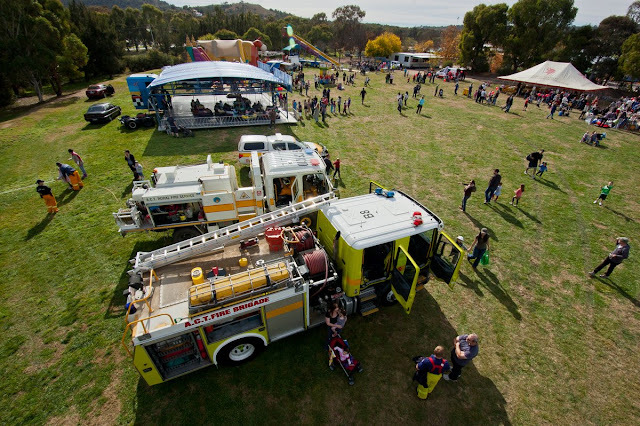 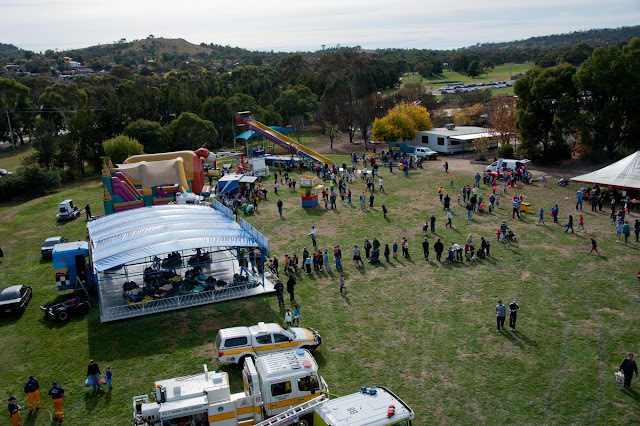 The ACT Rural Fire Service and two ACT Fire & Rescue crews attended the St Anthony's Fete held at Wanniassa on Saturday 12th May 2012. 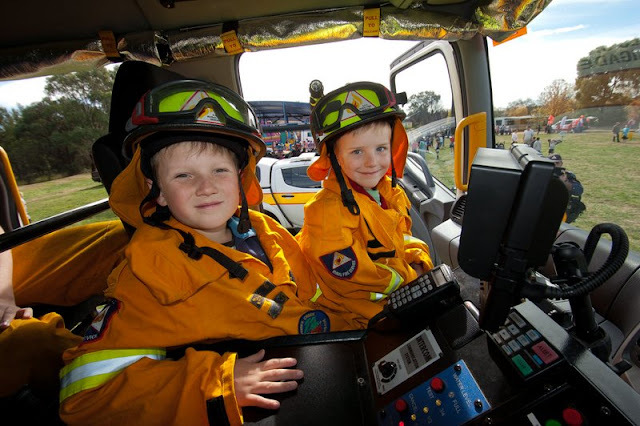 Joshua Nicholls and Lachlan Nicholls, of Kambah, were keen to use a fire hose and learn about what it is in the front of a RFS heavy tanker. 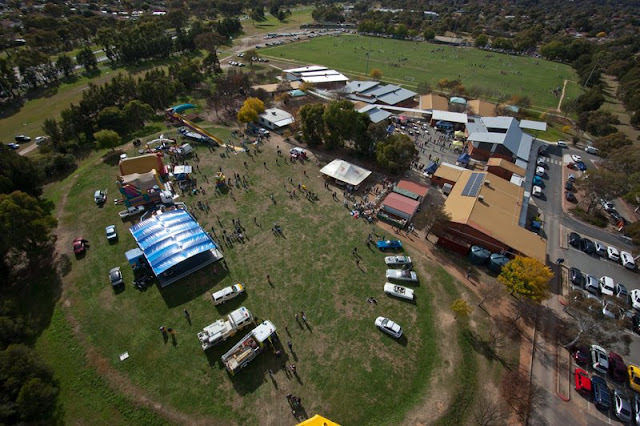 The Bronto crew showed how high it could go and gave a birds eye view of everybody enjoying the activities of the fete.